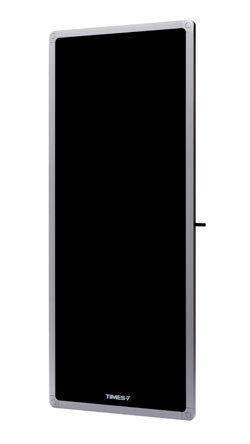 The SlimLine A6034 is an ultra-low profile circularly polarized flat panel high gain antenna. Its total thickness is just 12 mm (0.5 inch). At 747 mm long (29.4 inches), it can do the job of two smaller antennas and can easily be wall or ceiling mounted, or incorporated into dock doors or portals.